but i knew i could make it better, and look exactly like the ones we saw over at that swanky store. so i simply MADE one for her instead by making over the wreath she already had. This is fabulous....I love Dollar Tree for those lil add ons. This looks like a million bucks...Im sure she is very happy with her (NEW) fall wreath this year! I'm all over anything that can be remade for cheap. 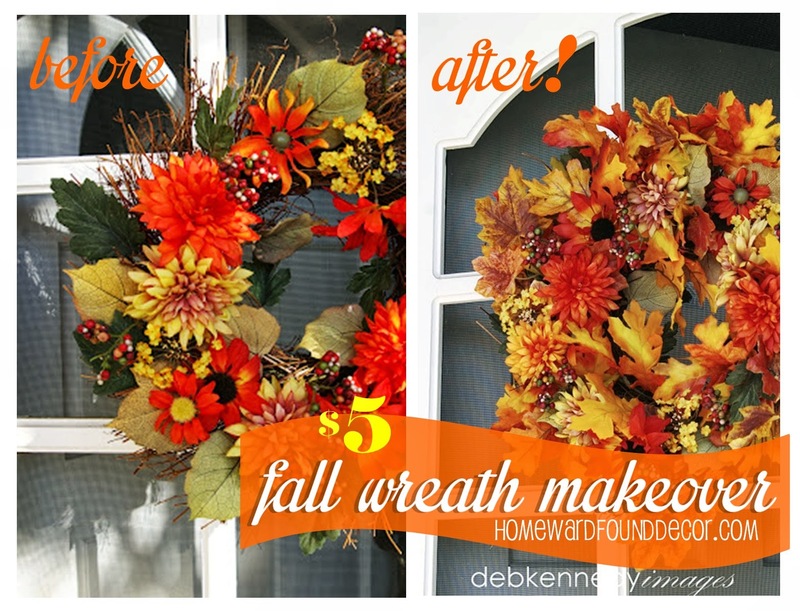 That's exactly what I did with my two wreaths, except one came from someone else's garage.